Red River Resources has launched production at the Thalanga zinc operation in Queensland as prices for the metal have risen by about 20 per cent this year. The Thalanga was placed under care and maintenance in 2012. Red River, which acquired the operation in 2014, has been ramping up the site towards a restart since January, reaching production ahead of schedule. Zinc, like other base metals, has soared in value during 2017, with the global marketplace facing a shortfall in supply. Prices for the metal sat above $US3000 a tonne at the end of last week. Red River restarts the Thalanga mine with zinc prices not only reaching 10-year highs but also with off-take agreements in place for production from the operation. 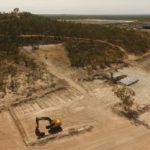 The Melbourne-based company last month secured an off-take agreement with commodity trader Trafigura for zinc and lead concentrate production from Thalanga. Trafigura is providing up to $10 million in funding as part of the agreement. Red River also locked in an off-take agreement with Glencore for copper production from Thalanga. Managing director Mel Palancian said starting production ahead of schedule and under budget was an outstanding achievement for the company. 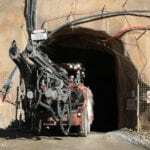 “We acquired the Thalanga project in 2014, and to be restarting production with zinc at 10-year highs is an outstanding result,” Palancian said. Red River has been rehabilitating the Thalanga plant and site since January. The company plans to increase its resource base and continue an exploration program at the operation to discover the next generation of deposits in the area. To keep up to date with Australian Mining, subscribe to our free email newsletters delivered straight to your inbox. Click here. Would you also like to receive the Australian Mining Safe to Work newsletter? The Global Mining Guidelines Group (GMG) has published a guideline for implementing autonomous systems in mining operations. 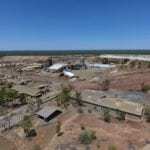 Rio Tinto has revealed one of the largest white diamonds in the 35-year history of its Argyle diamond mine in Kimberley, Western Australia. Established in 1908, Australian Mining continues to lead and inform the Australian mining industry of the latest innovations in mining technology and equipment.